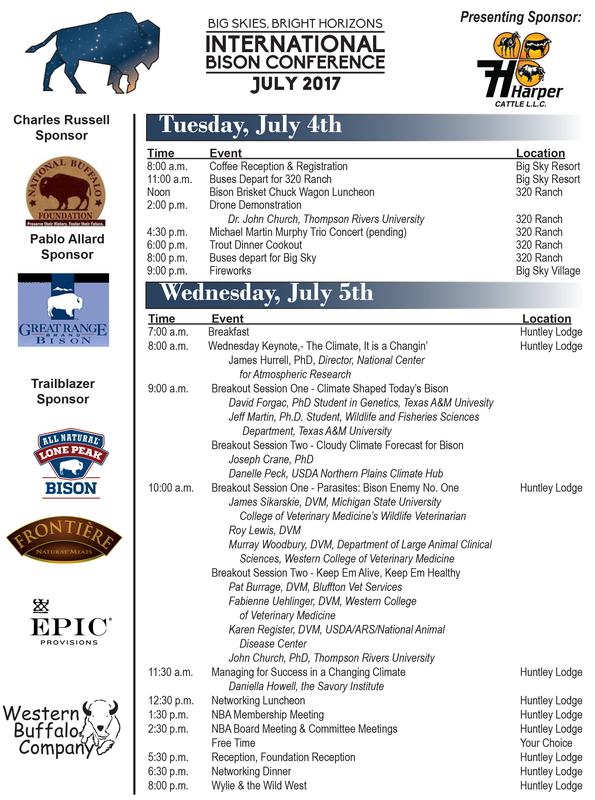 Please mark your calendars for the 2017 International Bison Conference, July 4 - 8, 2017 in Big Sky, Montana and register by May 15th to receive the best pricing. Learn more at www.ibc2017.com. 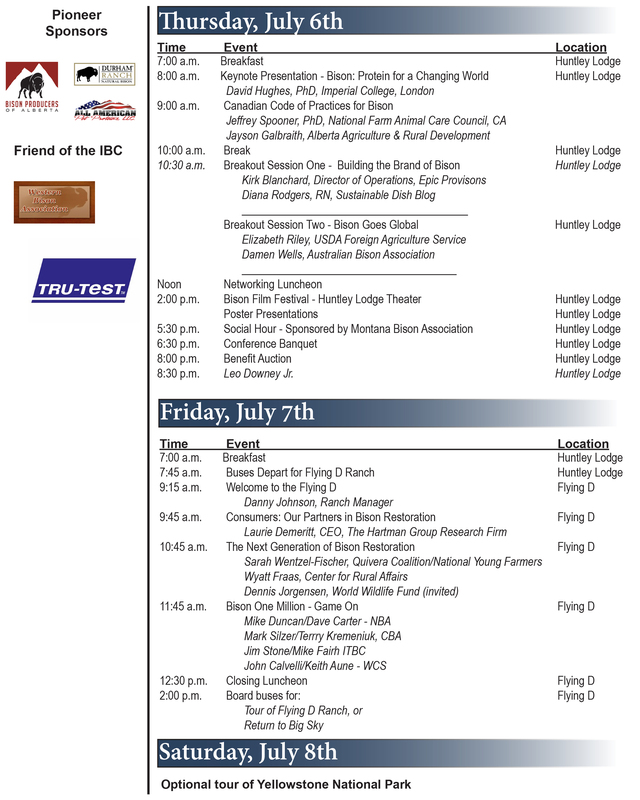 See a complete agenda below.